Rivers United overcame Abuja Selected FC 2-0 in a fiercely-fought pre-season friendly at the Area Three football pitch, Abuja on Friday. United came in to the game in fine form following their 4-1 success over FC City Strikers at the Goal Project, Abuja, 24 hours earlier. Bernard Ovoke opened the scoring for United with an audacious finish; a swerving, dipping effort from an acute angle, 35 yards out which left the goal keeper with little chance. Nine minutes from time, Guy Kuemian Venance scored United’s second with a guided header off Ifeanyi Nweke’s fine cross. Technical manager of the Port Harcourt club, Stanley Eguma gave his post-match assessment in an exclusive chat with www.riversunitedfc.com.ng. “It was a good game but the most important thing is to see if the players are beginning to work towards understanding our plans. “We are still trying to build on the fitness of the players to make sure that they are well-conditioned for the task ahead. “Gradually, we are beginning to see the result of our work but strategies have not been completely perfected. 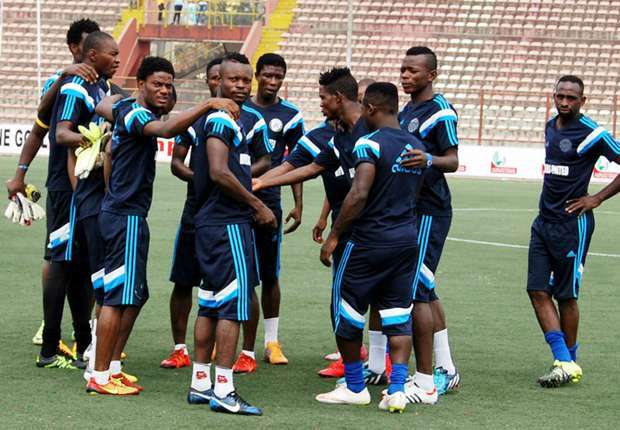 “This team is still work in progress but with what I am seeing now, the future is very bright,” Eguma said.